So, you are thinking about visiting The Mouse House soon, and you’re very concerned about what the crowd levels at Disney World in January are going to look like. Well, that’s certainly understandable. Walt Disney World is an enormous theme park, so any time of year it is sure to have a good amount of guests roaming the parks and enjoying the attractions. But, you can certainly tell the difference between down times and peak times at Magic Kingdom. And in this article, I’m going to help you plan a visit to the best Disney World theme park—all while making sure you avoid crowds as much as possible! If this is you, I do not recommend you visit Disney World in the first week of January. They are packed to the brim for New Year’s Eve and New Year’s Day. The place does not magically clear out the day after. Everyone stays for a few days and enjoys the attractions, and then it begins to clears out. Stick to the middle or end of January if you want to go in this month. Adults should be heading back to work soon after the holidays and school break should be over around this time. If crowds do not bother you and you do not care about riding everything in Disney World on your trip, the beginning of January is a fun and festive time for you. New Year’s Day is the second busiest day for the whole year, so it will most definitely be busy. It is neat because you get to see over the first week Christmas decorations slowly disappear from the hard at work teams pulling the thousands of feet of garland and lights down each night. Do remember that during crowded times such as the beginning of January even rides you can usually jump on quickly may have a 45-minute wait or more. 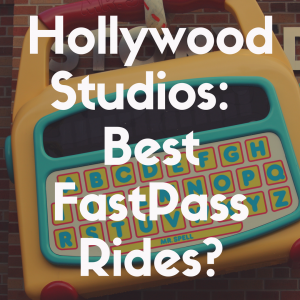 The popular rides that have long waits to begin with will be two hours or maybe even more, so make sure you have your fast pass+. If you want to ride a lot of rides this is not the time to go even if crowds do not bother you. You can lose hours of ride time waiting in line for other rides. If you would like to check out specific dates, you can search the many different Disney World crowd calendars found on websites for each and every month. The first week is the people still hanging around from New Year’s Eve Festivities. New Year’s Eve is packed and it is full of events. People may come a day or two before and they usually stay a day or two after as well. This is why the first week is high crowds. Generally the second week after is still moderately crowded. They have a marathon the second weekend of January, so people start to funnel in for that event. The Marathon lasts the whole weekend. My biggest Disney tip, no matter the time, is to avoid weekends especially during moderate or heavy crowd times like the first and second week of January. Why? All the Annual Passholders are more likely to come for weekend visits. All the locals are more likely to come for weekend visits. With those two groups right there the crowd levels rise. The weekend is not as big of a deal during slow crowds, but still something to keep in the back of your head if you are looking for the least amount of people in the park. The third week should be even less crowded than the second is, but do me a favor and check when Martin Luther King Jr. Day is being observed in schools this year. The weekend paired with this observance may be a little busier since kids are out of school and people head to Walt Disney World for a long weekend. The fourth week should be low crowds especially during the week. So this is the week you should choose if you want to experience January and avoid the mass amounts of people. Aside from the crowd level, you need to pay attention to the weather in January. I am sure if you have been to Florida you know it can be bright and sunny and the next second it pours and the next second there is the sun again. January throws in the cold. So be sure to check the weather right up until you leave for your trip and pack appropriately! The weather can also affect if locals come for a park visit or not sometimes, so while you want warm beautiful weather it may be more advantageous if you pack correctly and have some cold rainy days. 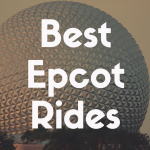 Since large majorities of Disney World’s rides are inside this will not affect a lot of your plans and as long as you have the appropriate clothing you will be plenty comfortable and have a less crowded day ahead of you. In case you missed it up above, the second weekend in January a marathon is usually held. While this affects crowd levels alone, for some of you, it may be of interest to others. The Marathon begins Thursday and different events are held each day through Sunday. In order to take part in the Marathon events you need to have a valid park ticket for the day of your event. Depending on the events you choose the registrations range from $190 to over $500 currently. There is running for kids. There are half marathons and special challenges. I find it best to check Disney’s website on the year you want to take part in the Marathon Weekend. They will give you dates, times, and events. Sponsors will change, events will be replaced, and so on, so this is the best way to be in the now when taking your trip. I can tell you if you enjoy any type of running or marathons there is nothing quite like a Disney marathon. Characters are involved. They make a big to do about everything. Just like everything else Disney does the crowds are worth the experience. 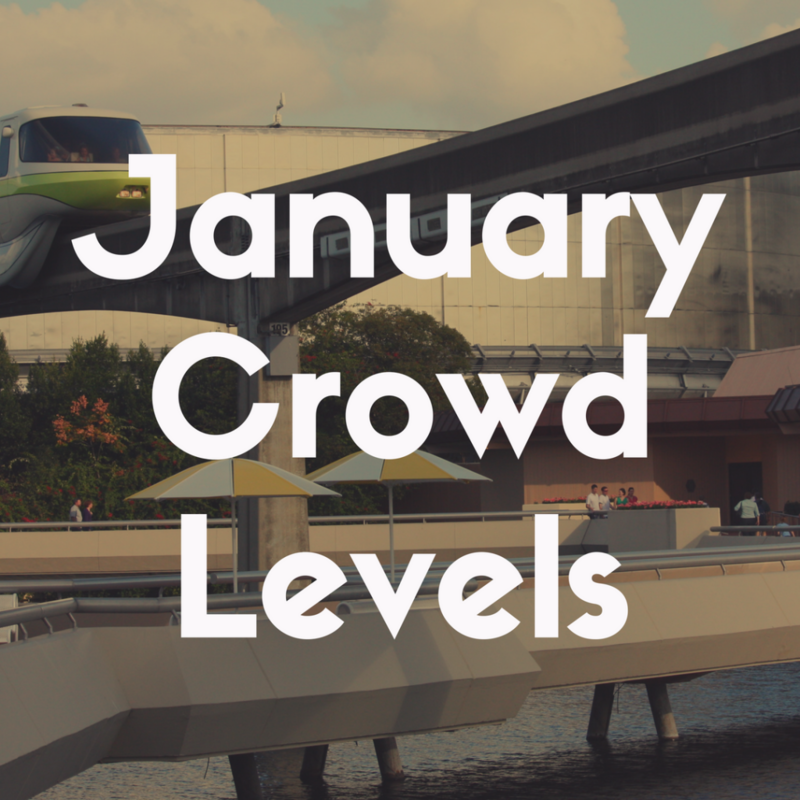 If after all of this you decide you want to travel to Disney World during moderate or crowded times, particularly January, I want to give you a quick ride break down for each park. Out of the above rides, choose the three you most want to ride in each park and use your Fast Pass+ on them. All of the parks other than the Magic Kingdom work on a tier system for the Fast Pass+ so be sure to know which you cannot choose together ahead of time. If you want any of the others you do not have Fast Pass+ for, I advise you arrive for park opening. Be sure to check park opening times on the days you choose. At park opening, you head straight for the rides you want that you do not have passes for at the start of the day. This is your best chance for avoiding lines. After you use your three Fast Pass+ selections if you still have time left be sure to check if there are any still available. Be sure to check often because sometimes people cancel for other ones and they open up randomly throughout the day. Another thing to think about is that many new attractions are making their way to Walt Disney World in the next few months. 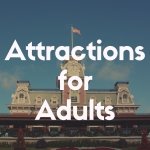 With so many upcoming Disney World attractions, you may need to add to the above list what you are interested in seeing. If the park is this busy and you cannot get to all the rides without hour-long waits, take the time to sit. 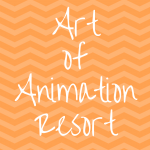 Relax and take in every sight, sound, and smell Disney World offers you. Each one of these sensory experiences are handpicked for where you stand. You get so much from strolling through the stores and relaxing on benches along paths. If you are not one to sit and relax, why not try out some of Disney’s shows. Each park has a show or more that are definitely worth seeing. The good thing about shows is they have an abundance of seats especially in comparison to most thrill rides. Even if you cannot get right in a show, most likely, you will get in for the next viewing. Here are my top shows to check out, but there are others. Disney is full of fun exciting things that you can do even when the parks are packed. So if you are not going to wait in the long lines give these a shot. Animal Kingdom is loaded with walking trails. 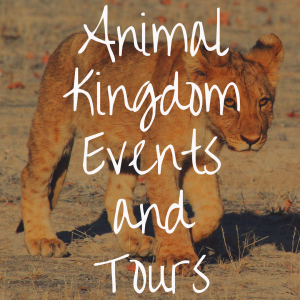 The trails give you a chance to leisurely explore and see a whole load of animals. This makes a wonderful activity to do that does not include being jammed in a room or a ride with anyone. Or you could take the train over to Discovery Island and explore. If the train seems packed then forego it, if it is not then hop aboard. Another option at Animal Kingdom would to become a Wilderness Scout inspired by the Disney Film Up. You can follow the directions and do some fun activities at your own pace. You earn sticker patches and even get to do the Wilderness Scout call. 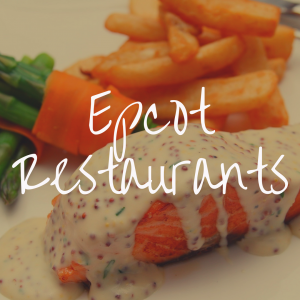 When it comes to Epcot, you can do the Kidcot Fun Stops. I know it says kid in the title, but this can be fun for any age if you choose. You start of with a paper Duffy face on a wood stick that you can use as a mask. Duffy is the male bear mascot of Epcot. You get stamps in each country and you can decorate it to your liking as you travel around as well. Another activity you can take at your own pace and move to a different location if it is too crowded. This is also a great souvenir to take home and if you are doing Disney on a budget it is free! In Magic Kingdom, you can do the Sorcerer’s of the Magic Kingdom interactive role-playing game. You get cards with Disney characters on them when you sign up at the Fire Station at the front of the Magic Kingdom. You follow clues and travel around the park to find your next location that will lead you to your next card. You get to see some pretty cool things you did not know were hiding in plain site in the Magic Kingdom. Better yet this game can go on past one day. You can even get new cards collect each time you return to the Magic Kingdom! In my opinion, any time of year in Disney World is more magical than being anywhere else. January is a great marathon weekend event. Other than that there generally are not special events taking place. The weather is a little wishy washy. I, personally, would not go in the beginning of January. I may think of going the end of January, but it is not my ideal time. If this is your first time going to Disney World I suggest going a different time of year. If you cannot then most definitely go when you can! If you have been a few times try January out and see what you think!